"Don't worry! It's the end of the world." We got in a little pickle by not bringing hiking shoes and poles to the "end of the world". My guides got nervous when my blind cane went down the boulder towards the crashing sea. All said, we got a good picture though! We made it to the "end of the world." True to the team spirit came in the response when the cane went flying down: "Don't worry, it's the end of the world!" 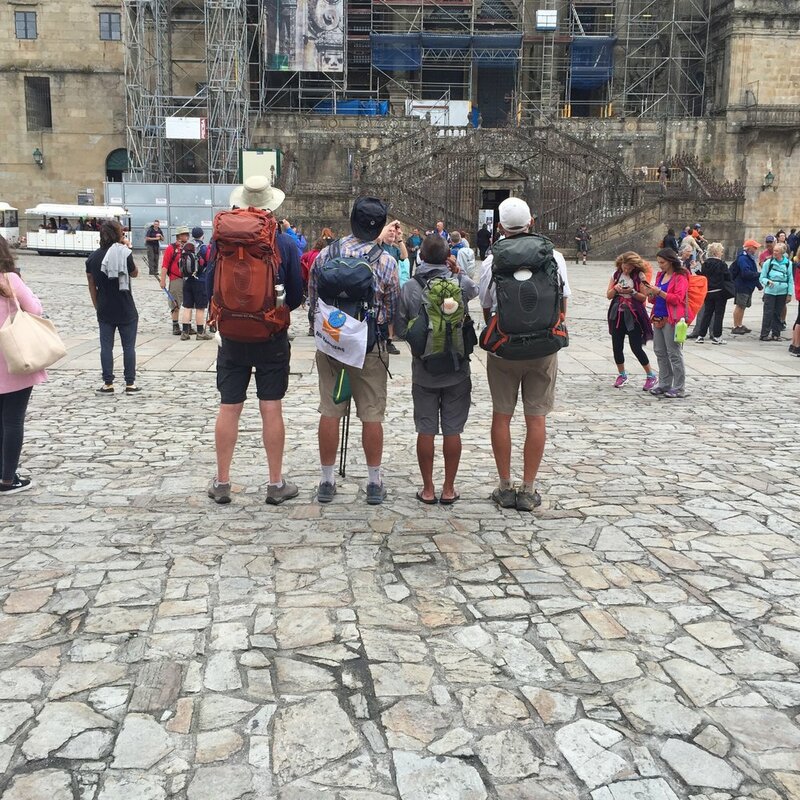 Tradition has it that the Camino de Santiago hike of over 500 miles does not end in the square in Santiago. 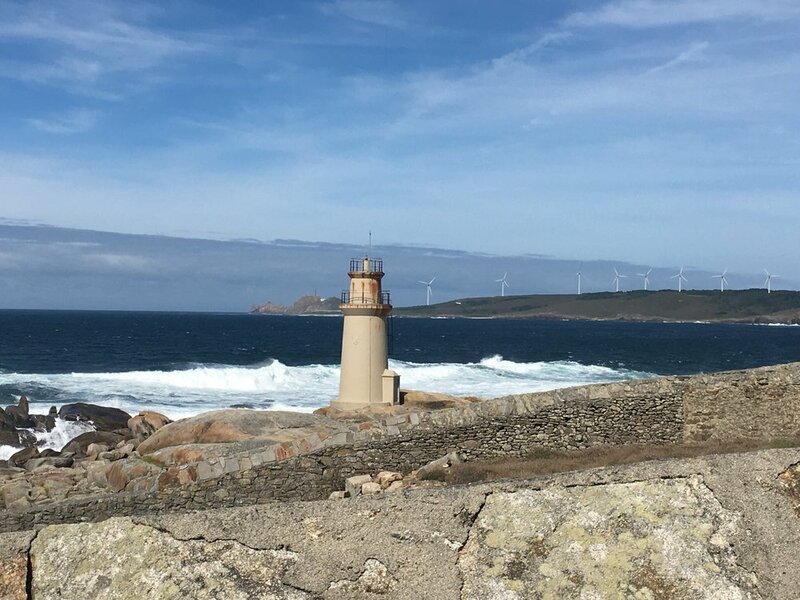 Rather, it ends at the sea where in the area of Finisterre (which means end of the world). 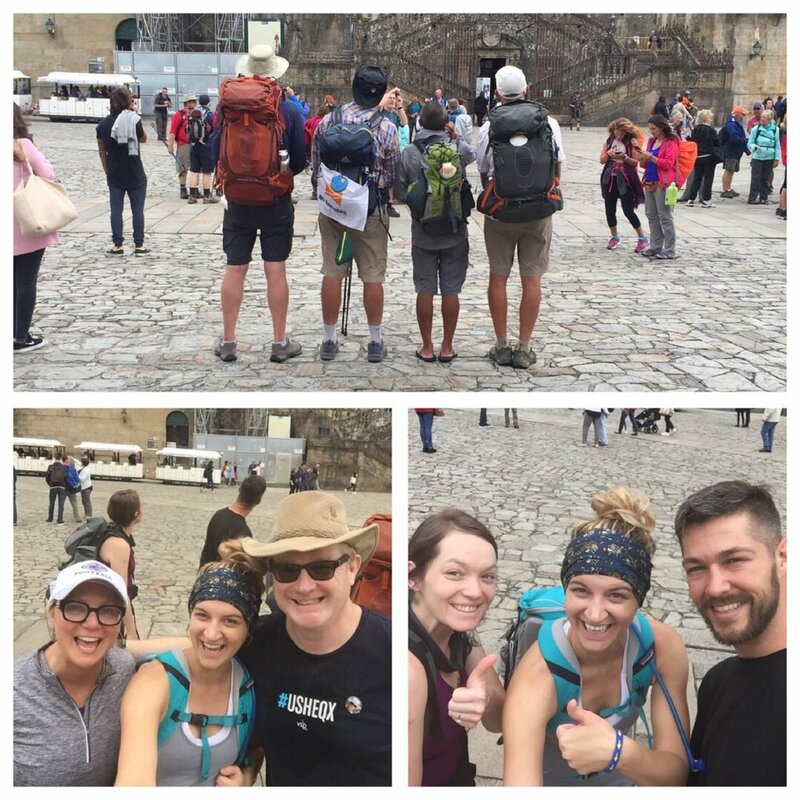 We headed out to do our celebration lap the day after getting to Santiago. 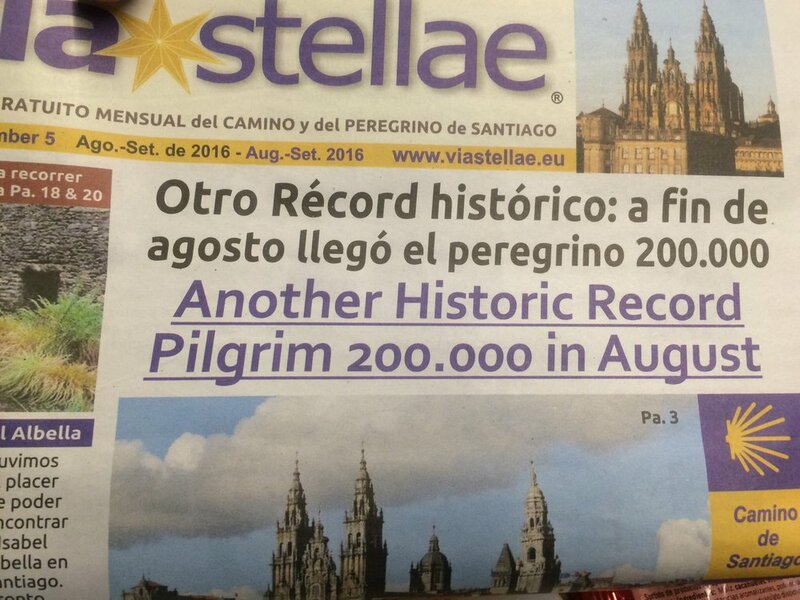 Newspaper headline...Camino sets record as of August 2016. 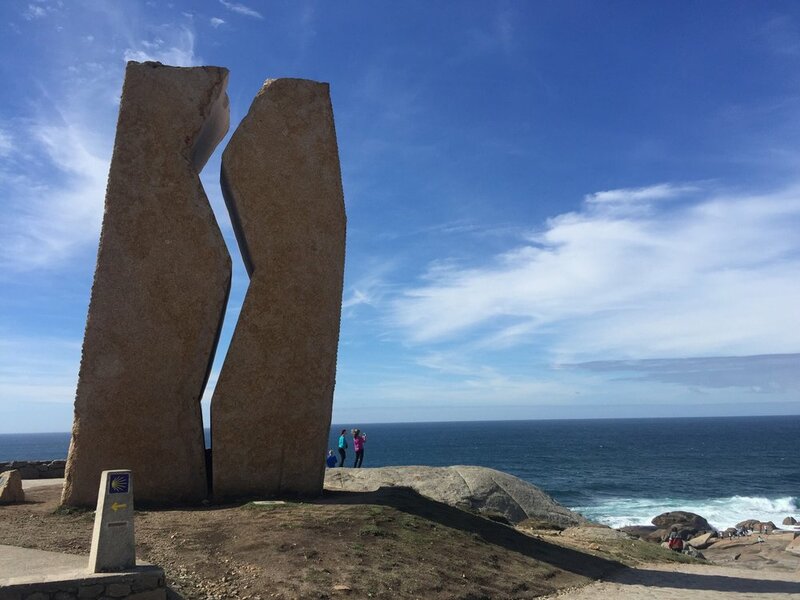 Over 200,000 people around the world have done a part of the Camino de Santiago. With months to go yet, the record books will be shattered as the world immerses itself in this pilgrimage and personal life journey experience. We have as many people doing the Camino de Santiago this year as did it very year in the Middle Ages. 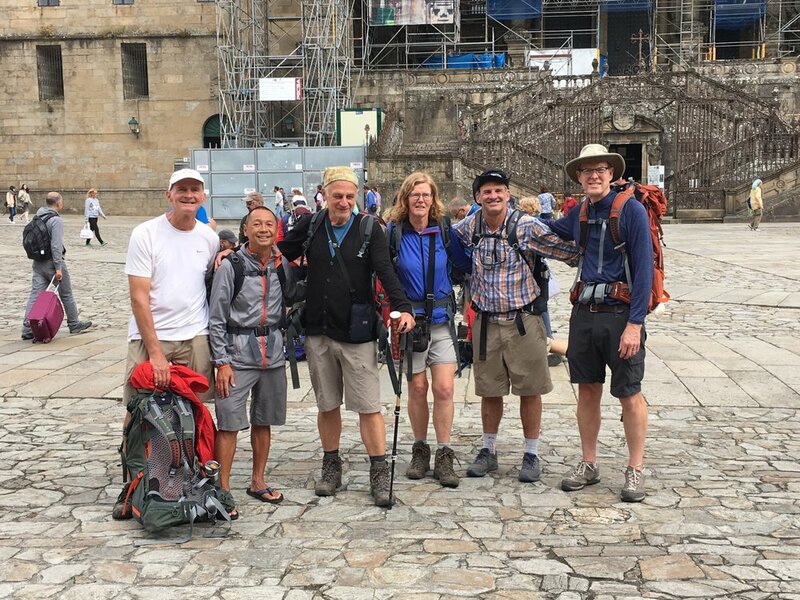 We ran into friends in Santiago that did all 33 days with us from St. Jean du Port France. It was a happy moment and a special one. The hardest part was saying "Buen Camino" for the last time...no more dark hikes at 6am, expresso on the run and so much more. We were leaving a life and a lifestyle like no other. With our backpacks of life experiences and gear from the journey, we are moving to the next chapter. Team VSP #VSPVisionCares knocked it out of the park on helping to get the word out, build a film story to share in the future and keeping us motivated, focused and even fed! We are four men who came together without ever taking a single practice hike together before we left for Spain. We became lean, mean fighting machines as we knocked out the Camino hikes kilometer by kilometer. 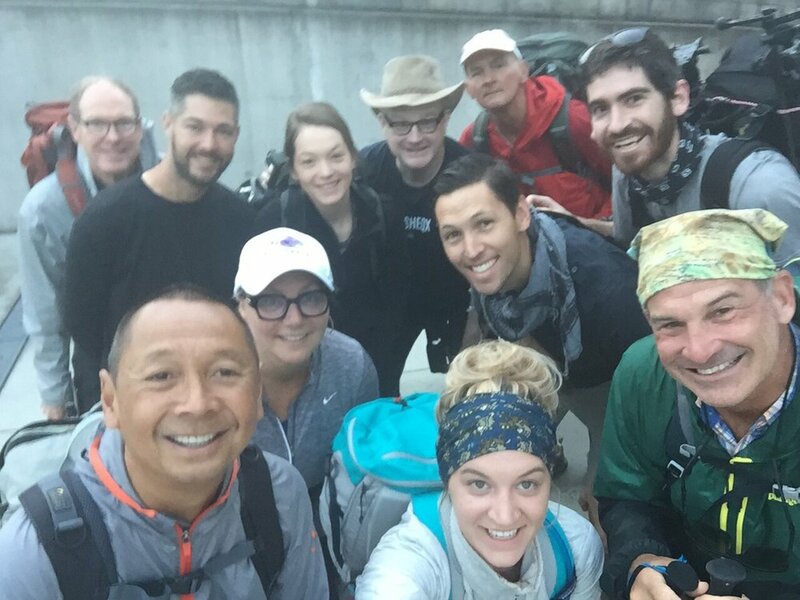 Better yet, we found our individual talents and purpose for the Camino de Santiago journey and we each came out of the experience with a renewed spirit to aspire, inspire and elevate others in our own ways. Not bad for a ragtag bunch that were nicknamed on the Camino de Santiago trail as "The U.S. Boys". Many wondered if we could do it. With not one extra day in our calendar for sickness, injury or even recovery, we found that in having the bold vision and purpose to elevate others in the world that we did not focus on injury, suffering and/or recovery. We, the U.S. Boys, just had to do what we had been called to do and got it done. 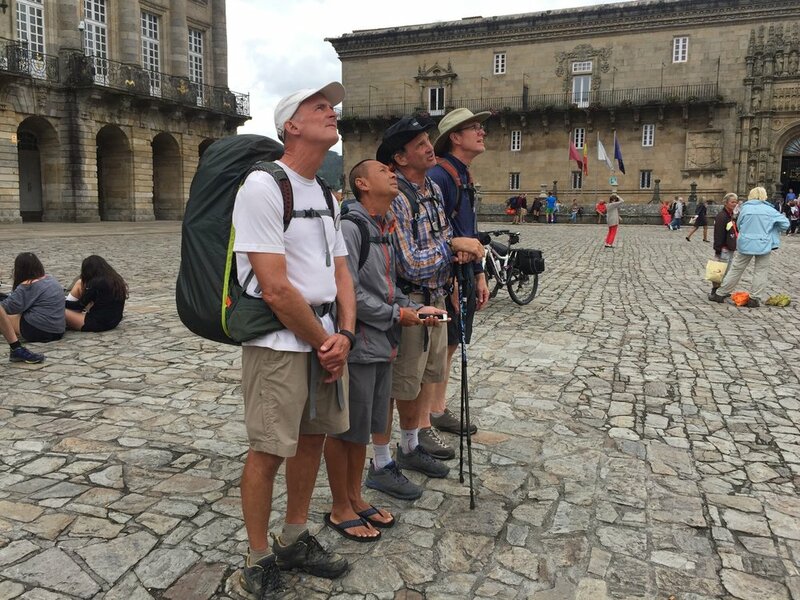 One idea to hike the Camino de Santiago, led four people to come together for this great project. The vision was so bold that it had the power of attraction to bring in a global organization dedicated to vision to take the project to a whole new level. We can all can see even more hope, inspiration and energy to make the world aware of vision and vision loss moving forward. From one, to 4, to 11 and the thousands people at VSP Global #VSPVisionCares and all of you receiving these updates around the world, you have shown us that to impact the world it can start with one goal and you can build from there. 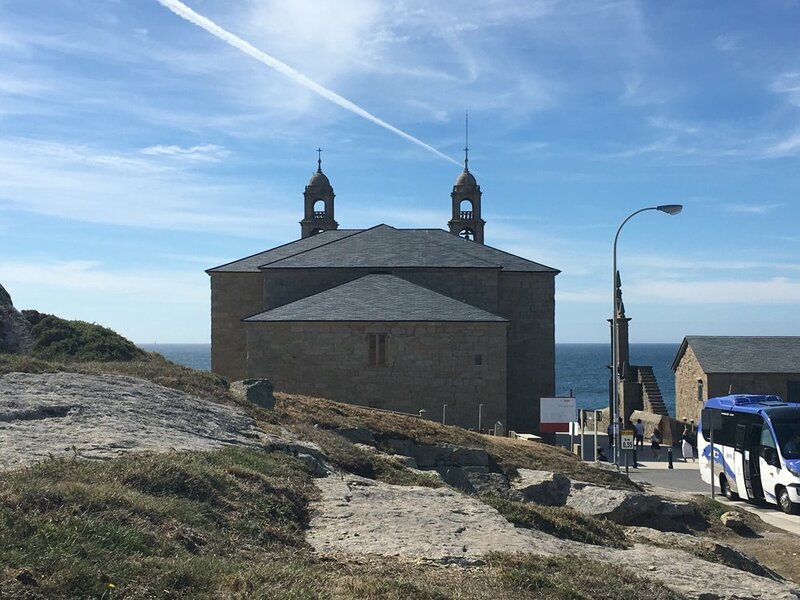 The Camino de Santiago hike helps to restores man's faith in himself and encourages to help others along his life journey. What was at the "end of the world?" It is the same person who now has a changed perspective. The struggles, effort, focus, commitment and desire to elevate the conversation around deaf-blindness and what people face were well worth each and every step. I was able to look back over the course of my life journey. As I go further and further into darkness and silence, I see more clearly now how I am managing that journey. I have my graceful moments and downright ugly ones in my life's journey. I am just going to taking step by step moving forward continue to build on what I have and take it from there. 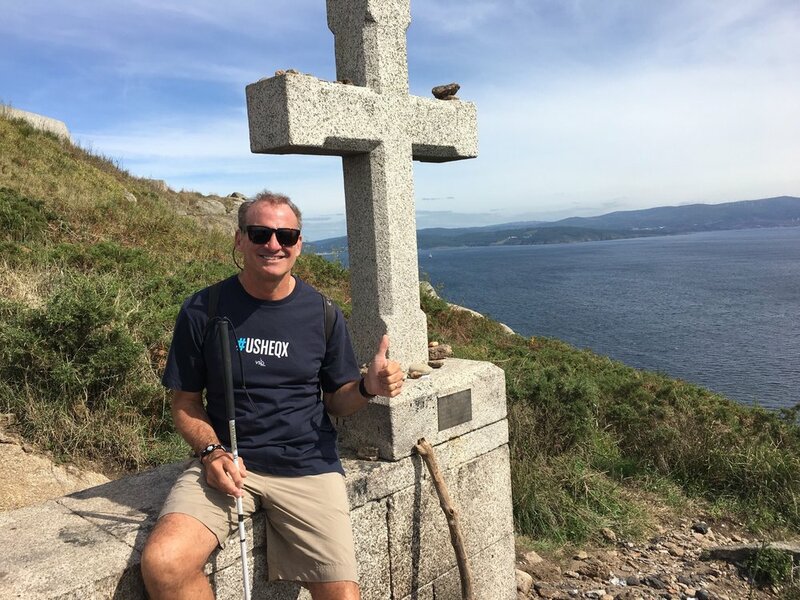 The Camino de Santiago hike reinforced to me that life as a deaf-blind person that progressively loses more hearing and vision everyday, that my life journey is an endurance test to the absolute end. The beauty of my life is the very struggle of life day in and day out. Deaf-Blindness hones me, refines me, focuses me and makes me resilient and optimistic. The struggles keep me leading me to even more and more life summits. In short, I am just an extreme version of you. I was forced to face the darkness and silence that my life journey brings. I am determined to find a way to overcome and transcend my fears, just as you have your barriers and challenges in your life journey. Most importantly, I have discovered at the intersection of possibility and impossibility in my life, lies the power of God and the power of the human spirit. 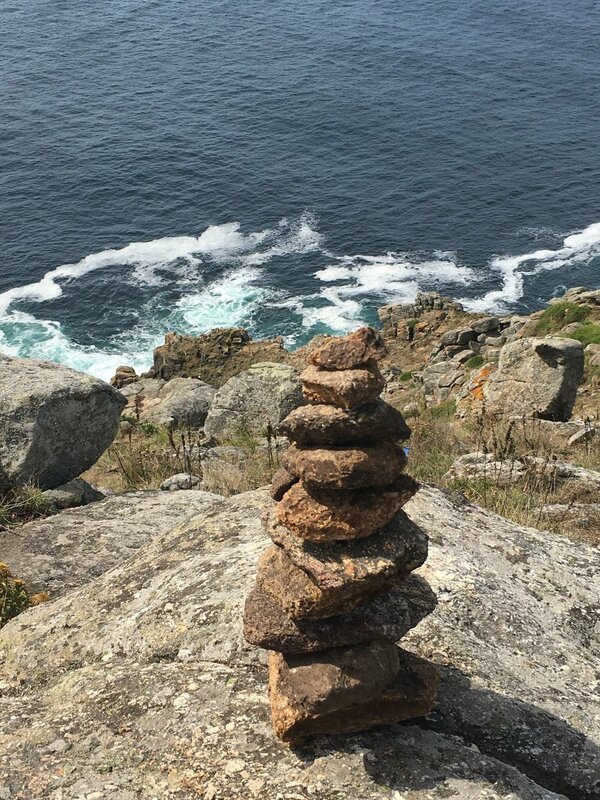 When the two come together, like the many paths of the Camino de Santiago, there are no limits. The impossible is possible. You just have to take the first step. As we looked up, we saw 1200 years of tradition. We had traversed 2 countries in one of the world's oldest pilgrimages into nature, one's self and something bigger than all of us - God. We always said hiking along the trail "God-willing" we will get there. We made it without one single scratch, fall or bruise over 33 days - it is truly amazing. The step out of our comfort zone into the longest hike of our lives has led us to look at the bigger picture. What is our vision for ourselves that is bigger than all us? Then, how can we elevate ourselves and serve others to make a difference? View from church front door. The visit to the "end of the world" is about harnessing life's experiences into optimism. You see this big blue and vast ocean and see that there is something bigger than all of us after you have literally hiked across 2 countries. When the land runs out, you see more...more clearly, more possibilities, more ways to navigate the world and more ways to climb. In short, with this life summit of the Compostela de Santiago, I was given new "eyes" to see and experience the world to help me overcome and transcend the barriers in my life and help others do it too! So, I will keep going to more ever-elevating deaf-blind adventures and helping others get to a better place in their own lives. At one pointing my life, deaf-blindness felt like "game over". Through time, adventure experiences and building my life's rope team (wife, kids, family, friends, community and those reading this), I have learned that deaf-blindness is simply just a life "game -changer". With that, it is "game on" as I jump the fence into the vast ocean of opportunities, possibilities and unlimited potential that life's journey can bring! 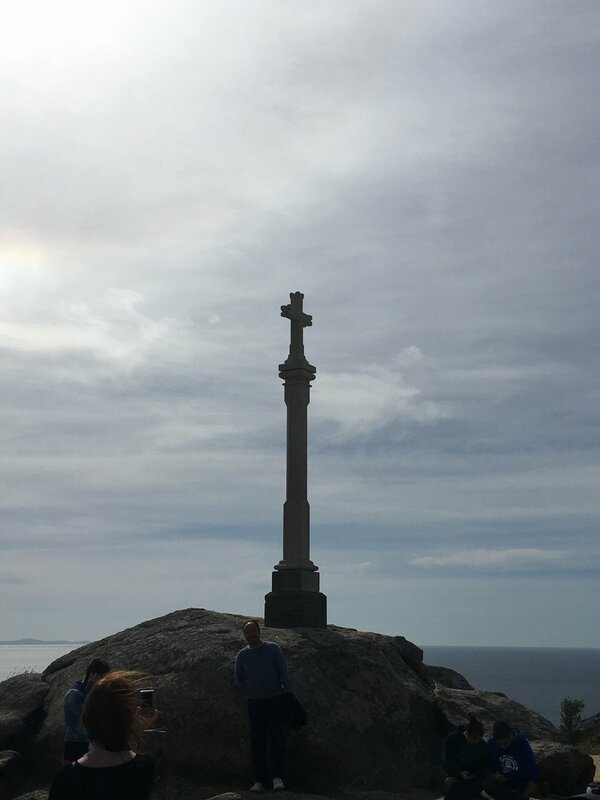 Thanks to everyone for their support of the Camino de Santiago project to hike across France and Spain. I could never do it alone and that is the beauty of it too. This is the final blog post. There will be a film that will be shared in the coming months of this incredible journey by my new friend Kyle from Rooftop Productions in South Africa. He tirelessly filmed on the hike, did many interviews and is going to help us communicate my story on Ushers Syndrome to the rest of the world on this journey! Stay tuned! This adventure project was to celebrate a life-long journey with Usher Syndrome- a devastating disease that robs its victims of their hearing and vision progressively decade by decade. There are no treatments or cures.